IC3 is an initiative of faculty members at Cornell University, Cornell Tech, EPFL, ETH Zurich, UC Berkeley, University College London, UIUC and the Technion. 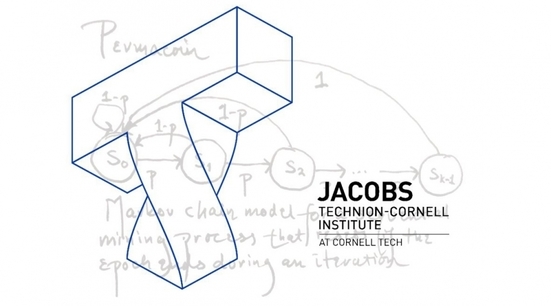 It's based at the Jacobs Technion-Cornell Institute at Cornell Tech in NYC. Cryptocurrencies and smart contracts are emerging into a rich spectrum of new financial instruments and business tools, and blending finance with computer science in unprecedented ways. IC3 is collaborating with domain experts in finance and banking, entrepreneurs, regulators, and open source software communities to move these blockchain-based solutions from today’s white boards and proof-of-concepts to tomorrow’s fast and reliable financial systems of execution and record. Blockchain Science: Bringing the science of blockchains to the forefront of blockchain technology development. Currently most cryptocurrencies and contracts rely on heuristic designs without a formal basis upon which strong assurance of security properties might be achieved. Establishing a rigorous scientific foundation for efficient, scalable, high assurance blockchain-based solutions is a critical need that IC3 is highly qualified to satisfy. Blockchain Code: Delivering blockchain innovation in code, underpinned by solid scientific foundations. We collaborate on the development and verification of multiple Open Source blockchain tools and solutions to meet the expectations of the financial industry for breakthroughs in cost, security, privacy and performance. Our blockchain test bed Miniature World simulates real world scenarios at scale; such as experiments at 15% the size of the operational Bitcoin system, where we compared Bitcoin with Bitcoin–NG, a new high performance blockchain protocol pioneered by IC3. We invite partners in industry, law and commerce to sponsor and collaborate with us in our mission to deliver powerful, principled, and practical innovations. Please see our Partners page for how to get involved. Expected outcomes of our work include new cryptocurrency and smart contract solutions that are easy to program and formally verifiable, with provable security properties that meet industry’s expectations for efficiency and reliability. These include financially enforceable cryptographic protocols whose security properties are backed by enforceable payments in case of a breach, as well as high-assurance, high performance systems for storing and handling high-value cryptocurrencies and confidential transactions. Please see our Projects page for more info. IC3 distributes funds internally primarily according to a competitive grant process, conducted at least twice yearly. We have committed to the following priorities: fostering collaboration between IC3 researchers and partners, technology transfer for IC3 research, career support for junior faculty, promoting participation of women and minorities in the blockchain technology area, and encouraging interdisciplinary and cross-campus collaboration among IC3 faculty. IC3 Co-Directors meet monthly. For inquiries, please email the IC3 directors through ic3directors@systems.cs.cornell.edu. 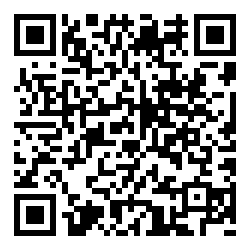 Want to be added to our email list? Register here.